Did Jackie manage to get one over on Teresa? 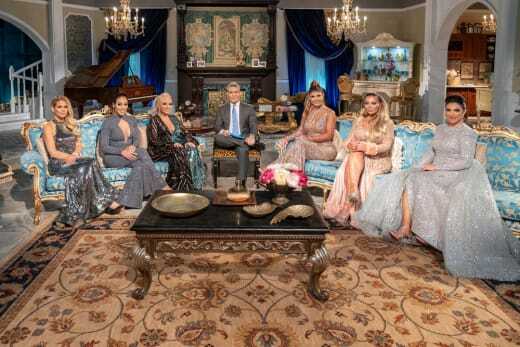 On The Real Housewives of New Jersey Season 9 Episode 17, Jackie and Teresa continued their big fight. With insults being hurled by each women, it emerged that one of them was lying about something. Meanwhile, Teresa was put on blast when Joe Gorga appeared on the stage and sat next to his wife. Elsewhere, Jennifer was forced to defend her parenting and her marriage when the ladies took issue with the way she acted. Finally, Teresa broke her silence on Joe's deportation.